When adding social media to your business’ marketing toolbox it’s important to integrate it with the way you already run your other marketing efforts. Your social media strategy doesn’t exist in a vacuum but has to fit in with everything else. Many businesses have difficulties integrating social media with an already existing marketing strategy. Read on to find out why you should definitely add social media to your arsenal and learn how you can align it with the rest of your marketing strategy. It‘s easy to see Twitter, Facebook or Instagram strictly as a marketing channel. But ideally, social media platforms are much more than that. Good social media marketing can provide an experience that eclipses marketing or advertising. A pleasant experience for both followers and brands themselves. Social media gives you opportunities to interact with people who matter to your brand and to whom your brand matters, whether they’re existing employees, potential new recruits or your customers. One of the wonderful ways social media can benefit your company is by turning your employees into people who will tell everyone how fantastic your company is. A way to do this is to make it clear that you welcome employees posting about the brand, resharing posts shared by official company accounts, and giving an insight into company culture. You can even streamline this by running an employee hashtag campaign that encourages employees to take part. Hashtag campaigns can be fun and create a sense of community, and you can motivate employees to take part by offering incentives. Social media isn’t just great for making existing employees happy but can also be used for attracting new talent to the company. Social media can support you in the recruiting process. If your social media profiles properly communicate who you are as a brand and what your company culture is like, it gives applicants a chance to figure out how well they would fit in with your company. 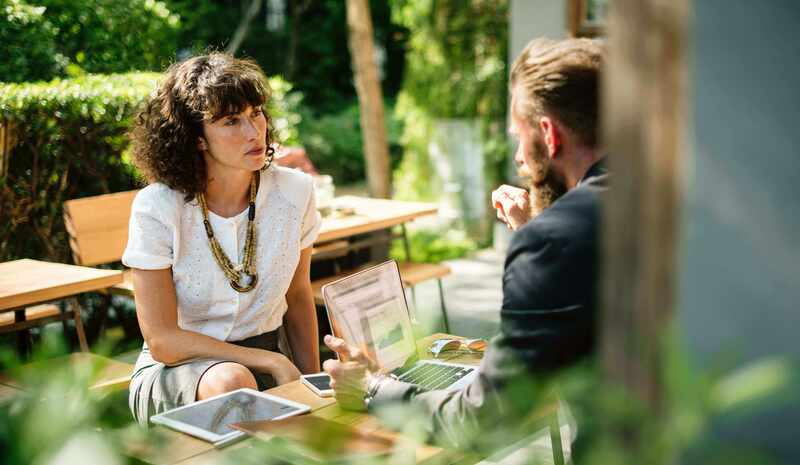 You can even make this more intentional by asking current employees to share their reasons for working at your company and to share what they enjoy working there. Our customers Scout24 and IKEA are both using hashtag campaigns to attract new applicants. Walls.io customer Scout24 has a social wall, which the company uses when recruiting new talent. Find out more about how to organise an employee hashtag campaign and how you can use social media for recruiting new employees in our blog post about employee advocacy. Social media also helps you make company events more interactive, for example by setting up a social media wall with a hashtag that people can post to, documenting the event and interacting with each other. A social media wall at an event pretty much does what a campfire does — people tend to be drawn to it, congregate around it and start chatting to each other. 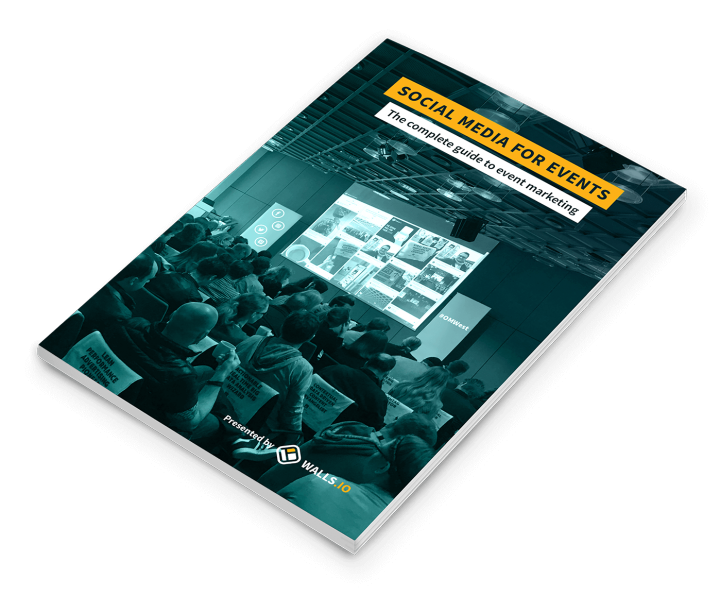 Check out our ebook Social Media for Events to find out more about how you can enhance your company events with social media and social walls. Reviews of your product in an online shop, social media entries in your hashtag campaign, product reviews on YouTube — these are just three of the many forms user-generated content can take. User-generated content is a great way to collect feedback from customers. But it can also become an important part of your marketing strategy if you start using it in your own marketing efforts. Gather UGC from customers and use it to increase conversions. User-generated content has one of the strongest impacts on people’s buying decisions. There’s something about reading or seeing recommendations from real people that gives others the impetus to make a buying decision. Learn more about how you can use UGC to boost brand awareness. Social media offers an easy way to keep your website up-to-date with fresh new content without constantly having to change the website itself. Simply integrate your social media channels on your website to have your carefully crafted social media posts show up on your website. Or you could set up a social wall that pulls posts from all of your social media profiles at once and embed that on your website. With Walls.io, you can even set whether you want to display all posts or whether you want to leave out those that just reply to other people’s posts! 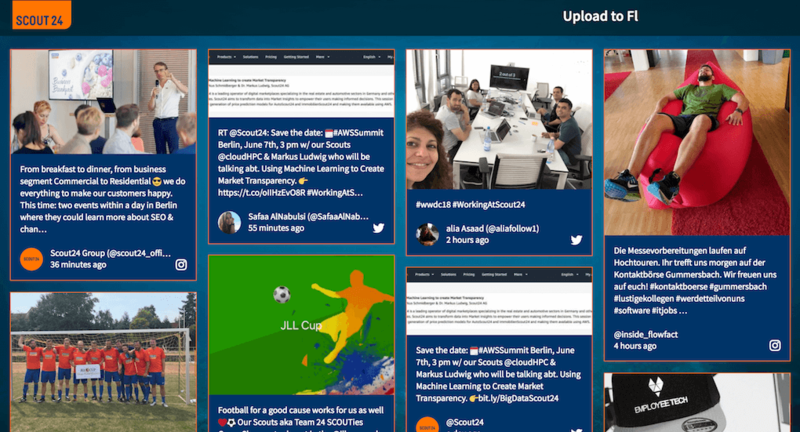 Get your free social media wall now! Knowing how social media can benefit your brand will help you figure out how to put social media to good use for your business. But first, you have to ensure that it truly becomes part of your brand. Here are just a few tips to get you started by properly integrating social media with your general marketing strategy. The first thing to remember is that your social media accounts don’t exist in a vacuum but have to be a part of your whole brand. Followers of your Twitter profile should immediately be able to recognise that it goes hand in hand with your website. So bring your social media in line with the rest of your branding as a first step. Create tone of voice guidelines that apply to your social media channels. Often, the tone on social media will be lighter or funnier and allow for more leeway than a brand’s regular communication style. You can find a way to be consistent in your style and still have a distinct tone of voice on your social media channels. Create a strategy for your social media presence: What do you share and why do you share it? What are your main topics? What content could you link to? Which conversations could you engage in? Go a bit further than just “we write about our brand and our products”. You want to be interesting and provide something of substance for your followers rather than just writing about yourself. Social media isn’t a one-way street. Don’t be one of those businesses who just yell into the void about how awesome they are or, worse, cross-post the same post to all of their social media channels. Communicate with others, talk to your followers, engage in conversations. To get into the right groove on social media, you have to know who your target group is and write for them. Knowing who you are talking to helps you figure out how you should be talking to them. Your target groups might differ slightly depending on the social network. Please, don’t try desperately to be cool or hip just because it’s social media. Don’t use slang you wouldn’t use in other communication. Just be authentic — it has been proven in multiple studies that customers really appreciate authenticity by brands on social media. Don’t fool yourself into thinking social media can be run on the side without much commitment. Social media needs dedication, which means you need a person dedicated to running the accounts for your business. It’s an investment many companies shy away from because they see no immediately obvious return of investment. But having a good social media presence will pay off in the long run. Check out our blog posts on building a social media strategy and how to improve how social your brand is if you want to learn more! Are you ready to get started with social media? If you haven’t made social media an integral part of your marketing strategy, you better have a very good reason. Of course, it can be daunting! But I hope our blog post has shown you what social media can do for your brand and where to get started. By using social media purposefully, you can create a community around your brand, stand out and increase conversions. All you have to do is invest some time and dedication to integrate social media with your overall marketing strategy. Want to easily integrate content from over 15 social media on your website? Get your own social wall!